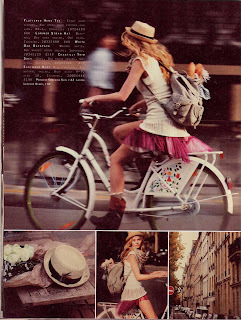 Finally, a bicycling helmet with style! Not really, this is just an adverstising for Electra brand bikes. Maybe it's not too late to start marketing my own line of bike helmets I've been designing. So far I have prototypes of yarmulke and beret helmets. I'm still looking for crash test volunteers.